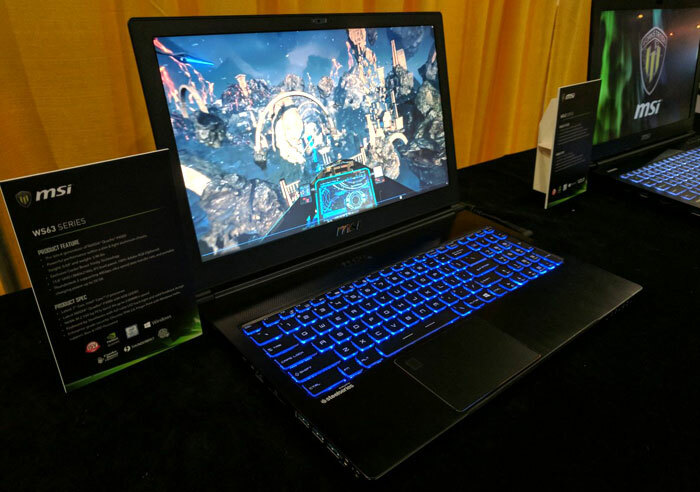 MSI originally launched its thin and light, but powerful, WS63 laptop workstation back at CES 2017. Now the Taiwanese PC and components firm has updated the workstation with Nvidia Max-Q Design, improved the graphics performance, and optimised the cooling system. MSI was showing off its new WS63 Workstation at SIGGRAPH 2017 and it is available to purchase immediately from the likes of Amazon and Newegg. The Pascal architecture Quadro P4000 GPU is probably the most significant upgrade in the new MSI WS63 Workstation laptop. According to MSI it delivers "over 40 per cent better visualisation performance and 1.7 times the computing performance of the previous generation". In other claimed gains MSI says the WS63 "dramatically reduces visual aliasing with up to 64 times full-scene antialiasing, supports 16K texture and render processing and Pascal memory compression, increasing bandwidth by up to 20 per cent by reducing the amount of data fetch from memory for each frame". Its 8GB of GDDR5 memory (6GB on the older P3000 equipped model) facilitates work upon large and complex models, detailed photo-realistic renderings and compelling VR experiences, and easily handle large computational datasets - on a thin and light mobile workstation. Of course the new WS63 maintains the best features and performance from the previous model. Standout features of the 17.5mm thick design that are worth highlighting include the MSI Cooler Boost Trinity design with a 41-blade and 37-blade fan for the GPU, five pipes for optimized thermal designed and a 41-blade fan for the CPU. Furthermore the WS63 includes built-in biometric security features and support for Windows Hello plus a TPM module. 14.96"x 9.8"x 0.69", 3.96 lbs (1.8Kg). 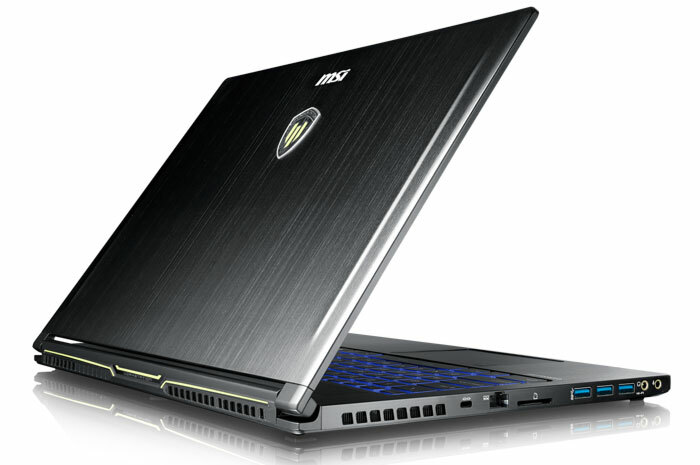 The MSI WS63 workstation with Quadro P4000 GPU will be available on July 31 at Amazon, Best Buy and Newegg. Prices start at US$3,099. any chance you will have this for review? ideally comparing to MSI GS73VR 7RF which has a 1060 6gb gpu?